Recognised excellence: LSBU’s Accounting & Finance subject area is ranked 4th in the Guardian University League Tables 2018. Moreover, LSBU Business School picked up the award for Accountancy College of the Year - Public Sector at the PQ Magazine 2017 awards. Employability: Providing students with an individualised learning experience to develop the skills and aspirations that enable them to enter employment, further study, or start their own businesses. Students will get Bloomberg market certificate (BMC) during their study of the course. Student experience: LSBU’s Accounting and Finance subject area ranked No. 1 for Satisfied with Course and No. 1 for Value Added in the Guardian University League Tables 2018. Moreover, in the latest Times University League Tables LSBU’s Accounting & Finance subject area is the best in London for student satisfaction. Internationalisation: Developing a multicultural community of students and staff, which through international alliances and partnerships will further build our capacity and capabilities in education, research and enterprise. Research and enterprise: Delivering outstanding economic, social and cultural benefits from our intellectual capital, by connecting our teaching and research to the real world through commercial activities and social enterprise. Practicability and digital skills: The course is highly practical with a large part of it associated with the learning of Bloomberg software. You will learn practical skills in a real-world environment. Philippe Wagner graduated from LSBU in 2007 with an MSc in International Finance and Banking. All modules are assessed by a mix of coursework, individual and group presentations and written exams. A typical 20 credit taught module involves a total of 200 study hours (52 contact hours and 148 group and private study hours). The use of Bloomberg is embedded within modules. Creativity Enterprise and InnovationThe module focuses on the rapidly changing world around us, it is imperative that students are able to think creatively, problem solve and create advantage for themselves (be entrepreneurial) and for the businesses they may work for (be intrapreneurial). The module encourages students to question what they see and experience around them with an aim to enhance their creativity and to discover new and improved ways of doing things. This module introduces students to the research process, the mindset of the researcher and in particular to the idea of creativity in research and what it means to be a ‘creative researcher’. In this module, students will identify potential topics for their practice-based dissertation and explore these with the aid of creative thinking techniques. In this way their research ideas can be refined and expressed in terms of clear research questions and objectives making use of the relevant literature and theoretical concepts. The module focuses on the nature, approaches, methods, tools and techniques of research within relevant disciplines from the business environment. In doing so it attempts to develop the skills and knowledge required to complete Master’s level research where the emphasis of the research is in improving aspects of business process and business practice. Thus the module is practically oriented towards the completion of a research proposal that will form the basis of the final practice-based project module. This module is designed to develop professional consultancy skills by studying organisational structure and culture, situational analysis and diagnosis, communication strategies for consulting and group dynamics. Focusing on the development of business research; client handling and project management skills, completion of this module will enable students to prepare a succinct, clear, evidence based, persuasive consultancy led project plan , aligned to the strategic vision of an organisation and which they are able to effectively pitch to a client. This module focuses on the use of modern econometric methodology for dealing with problems in the area of finance and provides students with the econometric tools applied in the area. It applies the techniques of mathematics, statistics and econometrics to analyse financial data so as to understand and model the underlying financial and/or economic conditions. In achieving the above, use of specialist software packages is employed. Empirical applications are considered in the stock, bond and exchange rate markets. The module deals with the theory and techniques of making value-maximising investment and financing decisions based on key factors such as cash, risk and time. It also incorporates the study of the economic environment in which such decisions are taken, and addresses other specialised areas such as the profit distribution decision, merger and acquisition strategy, management of working capital and international financial management. It applies concepts and theories that are central modern financial management. The rapid development of financial instruments, the ever increasing speed of globalisation, the technological revolution and especially the recent ongoing financial crisis have dramatically increased the perceived risk associated with financial markets. This module focuses on a particular class of risk that businesses face in the conduct of their commercial operations, namely, financial risk. It investigates how different financial risks, e.g., market risk, credit risk, etc. can be managed. It also explains and reviews the various regulation changes that have been made to control the different type of risks. This course provides students with a thorough understanding of the international financial markets, and the quantitative techniques used to value financial securities. Topics covered include the major global financial markets and their structures, quantitative techniques for valuing financial securities, the determinants of interest rates and its term structure and an introduction to derivatives and risk management. As part of the course, Bloomberg will be introduced and integrated into the curriculum. This capstone, independent research project draws upon the students’ skills and knowledge gained thus far enabling application of learning to a scenario resulting in added value to an organisation and creating real world impact. This student driven project must address a current issue or opportunity in an organisational or industrial context. Projects can relate to a student’s current role or students can use this opportunity to deepen their knowledge of different sectors or organisations thus make connections utilising the project as a vehicle to impress future employers creating a possible stepping stone to their next job. Alternatively they may wish to investigate possible entrepreneurial opportunities. “Psychology is the basis for human desires, goals and motivations, and it is also the basis for a wide variety of human errors that stem from perceptual illusions, overconfidence, over-reliance… and emotions” (Shefrin, 2002). Behavioural Finance links finance theory and practice to human behaviour. The module begins by building upon the established, conventional principles of finance and then moves into psychological principles of behavioural finance focusing on contemporary issues. Errors and bias permeate the entire financial landscape affecting individual investors, institutional investors, analysts, portfolio managers, currency traders, financial executives amongst others. Students analyse how human behaviour impacts on the decision making of financial agents. Students learn how social forces influence individual’s choices. Big Data Analytics Big Data analytics include tools and techniques from Data Science, for the transformation of raw big data into meaningful and actionable information for business analysis. Every major industry has powerful transaction-oriented systems, which stores the big data gathered from daily operations into repositories. To remain competitive, enterprises need the ability to rediscover and utilise the big data they already hold. The module will provide students with the skills to derive insights from a pool of big data available, delivering precise, actionable and timely inputs for decision making. The module aims to stimulate interest in economic affairs and theory by looking at important issues in the world economy. Whilst regional and global issues will be addressed, issues pertaining to emerging markets will be given a particular focus. By the end of the module students will have both analysed and evaluated economic issues such that they can apply these techniques of analysis to other economic issues that arise in the future. This module provides a practical introduction to digital and social media technologies (such as Twitter, Facebook, connected devices – the internet of things and affiliate networks) and their application within marketing. The module examines the key characteristics of digital and social media, identifies the theoretical underpinnings such as issues of trust and customer engagement together with trends and usage patterns to provide a framework through which to understand and evaluate them. In addition, the module examines the legal and ethical considerations that marketing in a digital world raises. Negotiation is a process that provides a vehicle for participation in problem solving and decision making to improve the effectiveness of discussions and sets the scene for operations. It is at the core of nearly every commercial activity. Systematic and thorough preparation, as well as an ability to manage shared, different, and conflicting interests, is critical to success. This module is designed to improve your negotiating skills set and enable you to master current knowledge and practice via a series of interactive and applied workshops. This module offers an alternative approach to everyday sustainability by making it pay for more than itself in everyday practice. It requires no knowledge of rocket science or a deep enthusiasm for “green” thinking. All it requires is a desire to succeed – both as an individual and as an organisation. The sessions will take the student through auditing the current state, resolving problems, developing a workable strategy and its implementation. Supplementary content includes communications and marketing, rewards and world-class analysis techniques. The module examines the area of governance and leadership within organisations in the broad context of the agency relationship and focuses on the respective roles and responsibilities of directors and officers to organisational stakeholders. The module explores internal review and feedback to implement and support effective governance and leadership. The module also assesses key aspects of responsible management and covers personal and professional ethics, ethical frameworks – and professional behaviour and conduct in a variety of contexts. This module is designed to provide students with an understanding of the theory and practice of investment management, particularly as it relates to the UK. The coverage will include portfolio creation and management, asset allocation and stock selection, and portfolio performance measurement, including the use of benchmarks and their relationship with performance targets and portfolio risk. Some Consideration will also be given to the investment aims, time horizons, tax position and regulation. The module enables course participants to understand the specifics of managing different aspects of virtual work, such as distributed teams, remote employees, remote clients or collaboration partners, and organisations that are entirely virtual. One of the important aspects is the switches between off-site and on-site work that most people do in today’s work environments and its implications for perception and behaviour for both employees and management. This module provides a thorough grounding in the discipline of evidence-based marketing. It aims to build a flexible framework of reference points and analytical tools to enable marketers to work with other functional specialists. It also seeks to provide the basis for effective cross-border marketing through use of examples and cases drawn from a variety of systems, cultures and operating environments. Students taking the module begin with basic numeracy skills for marketing, working through exercises designed to familiarise them with standard terminology, measures and calculations. They will progress to generating and manipulating their own data to extend their knowledge.. The module explores internal review, control, and feedback to implement and support effective governance, including compliance issues related to decision-making and decision-support functions. The module also examines the whole area of identifying, assessing, and controlling risk as a key aspect of responsible management. Graduates who possess an LSBU Masters degree in international finance are likely to be highly employable in trading and analyst positions, not only in the UK but throughout the world. Excellent career opportunities exist in finance, banking and investment. Graduates from this course have gone on to obtain positions in major international companies, financial institutions, regulatory agencies, credit rating agencies and financial consultant firms in the UK and overseas. The optional placement in arelevant business area enhances your employability skills and enables you to apply accounting and finance theory to contemporary business practice. According to the electives chosen, the programme will part prepare students for some of the professional examinations of the Association of Chartered Certified Accountants (ACCA), CIMA, ICAEW and CISI. "Customer Focus in Banking: How to implement it?" Keynote speaker: Owen Woodley, Managing Director, Lloyds Bank Retail. Panel: Mark Mullen, Chief Executive, First Direct & Head of UK Contact Centres; Paul Lynam, CEO, Secure Trust Bank; Ashleye Gunn, Consumers Association 'Which? '; Richard Goodman, Policy Director, Financial Ombudsman. "Making Corporate Governance effective in banking"
Keynote speaker: Peter Swabey, Policy and Research Director, ICSA. Panel: Prof. Andrew Chambers, International Internal Audit Standards Board; Mike Trippit, Director, Equity Research - Banks, Numis; Catherine Howarth, CEO, Share Action; Robert Hingley, Director of Investment Affairs, Association of British Insurers; Charles Middleton, CEO, Triodos Bank. "Fixing our banks: What to fix and by whom?" The conference discussed the different stakeholders' perspectives about the changes that should be introduced in the banking system to deal effectively with the current crisis affecting financial institutions. In addition to academic rigour, the Masters is highly oriented to support your career development. There is an optional placement in a relevant business area to enhance your employability skills and apply accounting and finance theory to contemporary business practices. If you take part in a placement, the dissertation may be linked to your placement experience. A placement is not currently offered on the part-time mode. Shashi has expertise in corporate and strategic financial management, institutional fund management, international finance, security analysis, portfolio management, portfolio performance measurement, mergers and acquisitions, valuations and research design and methods. 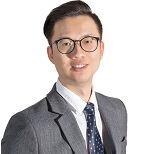 An expert in financial markets and econometrics, Weiou has worked on large-scale projects, such as INET funded Debt and Demography Project. 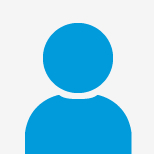 Research interests: sovereign debt, debt restricting, and the relation between assets and income. Specialist industry software prepares our students with the digital skills that employers' value. Students on our programmes have access to Bloomberg, Thomson One Banker, SAGE, Blueprint, FAME, NVivo, and SPSS. 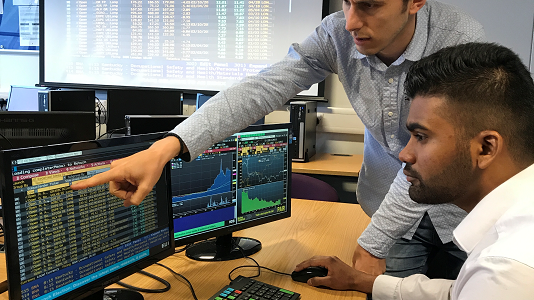 Why not read about how a LSBU student took first place in Bloomberg’s prestigious annual Investment Challenge (BIC) competition. Read more about the Division of Accounting and Finance's specialist facilities and software. Understanding the theoretical basis for understanding the nature of international financial operations and their complexity. Developing research problems/questions in the area of investment, banking and finance. You will also benefit from the Department's experienced lecturers, excellent learning materials, and small class sizes. Workshops, seminars, case studies and student led discussion facilitate more active modes of learning. You'll receive training in the use of Bloomberg and Thomson-One Banker, and specialist software (SPSS and N-Vivo)during seminar sessions and in the development of assignments, and dissertation/Business Project. Required English language skills to undertake this programme IELTS (International English Language Testing Service) 6.5. Applicants may be required to attend for interview by the Course Director or Admissions Tutor.